Price: Studio Strings £199. Studio Strings Professional £449. Upgrade from Studio to Professional for the price difference. 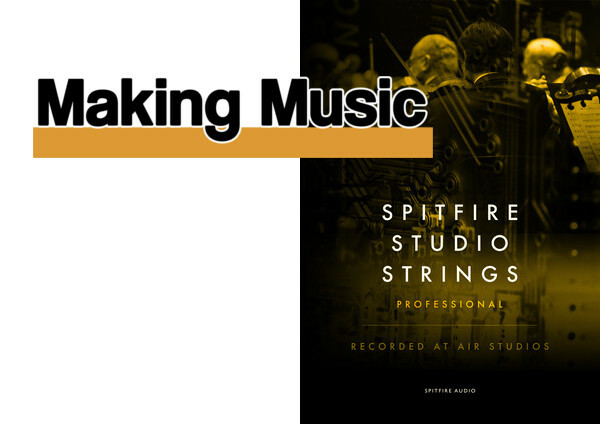 Spitfire Audio’s Studio Strings – what is it? 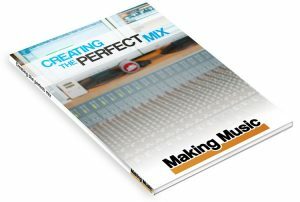 There are two versions of this library – Studio Strings, sometimes referred to as the Core version, and Studio Strings Professional. There are several differences between the two. Essentially you get more of everything with the Professional version and we’ll look at the differences in a moment. Studio requires 13.2Gb of disk space while Professional requires 210Gb. Both require twice that during installation. You can see you’re getting a lot more samples for your money with Professional. They run in Native Instruments’ Kontakt Player, both the free and retail versions, version 5.6.8 or later, and they are NKS-compatible for users of Native Instruments’ hardware. Studio Strings is the first in Spitfire’s new orchestral series so there will be more libraries to look forward to. The samples were recorded at Air Studio One which is much drier than Lyndhurst hall. 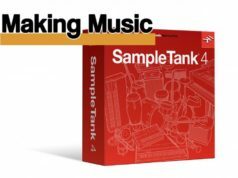 The result is a set of samples that are crisper and sharper than some of Spitfire’s other string libraries such as Solo Strings and Chamber Strings Professional. As well as the sharper sound, this offers greater control over the reverb, mainly because you need to use your own, although there is built-in reverb, too, if you just want to take off the dry edge. It also affords and encourages greater experimentation as we’ll see in a moment. The samples were recorded by a medium chamber section consisting of 1st Violins, 2nd Violins, Violas, Cellos, and Doubles Bases. 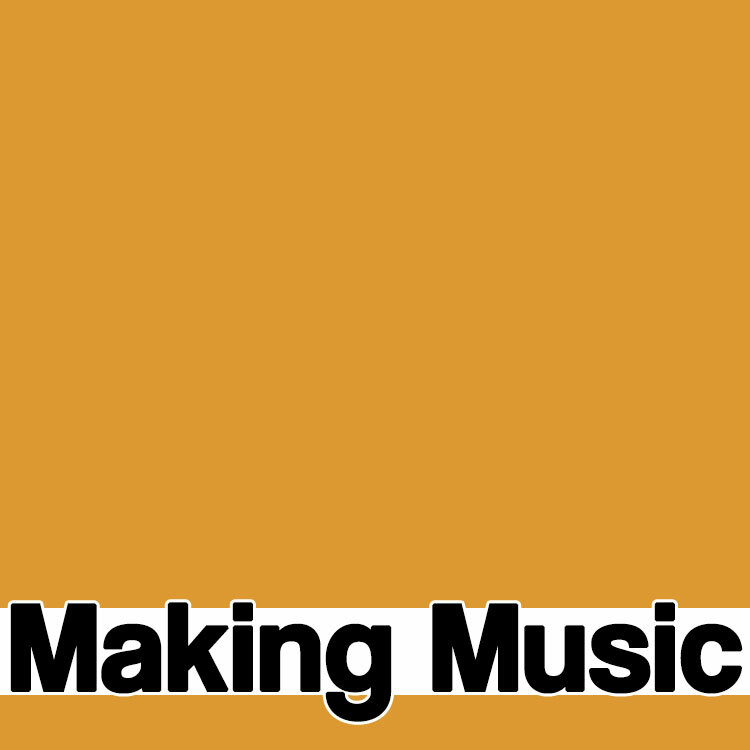 The Studio version has 148 articulations featuring 30 musicians in an 8, 6, 6, 6, 4 line-up. The Professional version has 232 articulations and includes a larger orchestra in a 16, 12, 12,12, 4 arrangement. The Pro version also has 5 extra Mics, 3 extra mixes, and 2 divisi sections. Divisi is often requested by string library users. It essentially splits a string section in half, giving you more control over the section and allowing you to write additional parts. As an example, the 1st Violins in the Professional version are available in sections of 16, 8, and divisi A and B sections of 4 players each. The 2nd Violins, Violas and Cellos each have 12, 6, and divisi A and B sections of 3 each. The Double Basses have a stock size of 4. As Spitfire determined in recording their Chamber Strings Professional library, 3 (4 for the 1st Violins) was the fewest number of players they could use for the result to sound like a section and not individual players. So as well as splitting parts, you could also use the divisi sections for more intimate chamber orchestra writing, or you could layer them. The articulations which are available from the main instruments are the ones you’re likely to use the most. They include Legato, Long, Long CS, Long Flautando, Tremolo, Spiccato, Pizzicato. Spitfire seems to have a special fondness for Flautando which is available in every instrument configuration. The Legato requires you to play monophonically and ‘join up’ the notes. The software fills in the join in creating a more realistic performance which is ideal for solo lines. As with other Spitfire libraries, additional articulations can be found is several advanced folders. They include extended techniques such as Harmonics, various types of Spiccato, different types of Longs, and many more. The articulations vary between instrument and even the divisi have their own techniques. There is, of course, a folder containing all the individual articulations and another with all the Legato techniques. Yet another folder contains Economic, Light and Time Machine patches. Economic patches contain fewer articulations to save on RAM, while Light contains stripped-back articulations to save CPU resources. The Time Machine patches load all the short articulations into memory allowing you to vary the length of the notes via CC (Continuous Controller) messages. So what does it all sound like? I’ll point you to some examples, but if you’re used to a typically lush Spitfire string sound, you may be amazed to hear a crisp, fresh, rosined raspiness here. Some of it is due to the lack of ambience in the recording studio although there is a built-in reverb control, but the closeness and cleanness of the recordings brings a sense of intimacy to the sound which will appeal to many composers. You will almost certainly want to add your own reverb which makes the sounds a little more customisable, perhaps, than libraries recorded in an ambient environment. It also lends itself to experimentation. Here’s a video of Spitfire’s Christian Henson using the library to create some tension beds. As well as describing some interesting layering techniques, the video shows how he uses it almost like a synth. 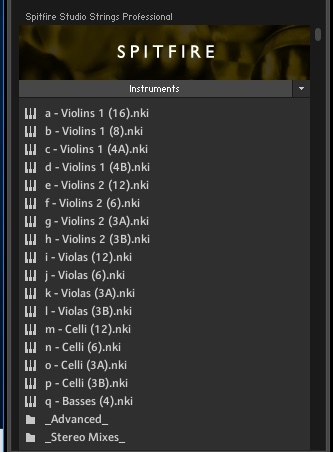 This may not be the first thing you think of doing with Studio Strings but it’s an excellent example of some outside-the-box thinking and it shows just a little of what you can do with the library. There are several other demos out there but I’ll link to this one by Homay Schmitz which was created with the Studio version proving you don’t need the Professional version to create impressive music. It’s also interesting to watch from a compositional point of view as she describes the way she created the piece. The library features Spitfire’s usual GUIs, although instead of General View, in this library it’s called Easy Mix. Maybe it’s because it’s easy to use. There’s a slider to adjust between Close and Far Mic positions and sliders for Dynamics, Vibrato, Reverb and Expression. The articulations are along the bottom. When you select one, its name appears in the panel on the left. All controls can be assigned to a CC (Continuous Controller) so you can adjust them in real time and, perhaps more interestingly, automate them in a DAW. For many users, that might be all you need, but there are additional options in the Expert View. Here you get access to all 6 Mics (in the Professional version) which are 2 Close Mics, 2 Tree Mics, Ambient and Outriggers. You can also adjust the stereo width and pan position. The Mics in particular noticeably change the ambience and sharpness of the sound and are easy to tweak in order to adjust the broader tone. There are additional Release and Tightness sliders which control the decay of long notes and the attack of short ones. 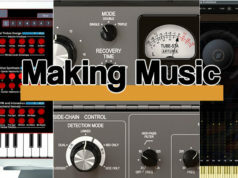 There are several controls for adjusting the round robins to vary the way in which a sample plays back creating more realistic music lines. You can also select one of four velocity response curves and create your own. Depending on what you’re composing, you may not need to use the advanced features very often but it’s reassuring to know that the options are there if you need to dig deeper. The manual contains a useful guide to instrument ranges and an extremely basic guide to orchestration principles. Useful for beginners but if you’re new to orchestration you will need more, but well done for the inclusion. The third GUI view is the Ostinatum. This is a cross between a step sequencer and an arpeggiator. It only works with the short articulations, which makes sense, and can play back up to 10 notes. You can create up to 8 patterns and layer them or play them solo. It’s a great way to create ostinato lines and rhythmic patterns in general, lines that you might not otherwise come up with. However, it takes a little getting to know, the controls are really small and it’s one aspect of the GUI that could be brought up to date. The usual niggles voiced in other Spitfire reviews about the GUI apply here, too. Several versions ago, Kontakt increased the screen space developers can use for their interfaces. Some, such as Red Room and Sample Logic, have embraced it. Others, alas, have not. The icons on Spitfire’s interface are tiny so it would be great if the interface took advantage of the extra space. Parameters such as the velocity curve, stereo settings and others which pop-up in tiny windows could easily be made larger. Secondly, the Ostinatum is fun and a great way to mess about with ostinato lines but it could do with a revamp to make it friendlier and it, too, would benefit greatly from more screen real estate. Spitfire seems to be spending most of its time creating new libraries which is fantastic but it would be nice to see a little effort put into improving the interface and functionality. And in case anyone from Spitfire is reading this please don’t use the company who designed the interface for Hans Zimmer Strings. Really, just don’t. If you’re wondering ‘why another Spitfire string library?’, the answer is simple – to give you more choice. If you already have one – or two – of their string libraries, you may not feel the need to add another. However, Studio Strings has its own set of unique sounds and, ultimately, it’s another superb sound set to add to your compositional arsenal. The dry recordings mean it’s more customisable and, as we heard in the video, the fun really begins when you step outside what might be considered ‘normal’ string library use. While there’s no denying the attractions of the additional instruments and articulations in the Professional version, ask yourself how important they would be for you and your music. For some composers they will be a must, but you can still get all the main Core components of the library in the Studio edition for a much lower price – and a large saving in disk space. Studio Strings and Studio Strings Professional provide yet more options and more choice for the composer. If you already have a ‘wet’ string library, it would make an ideal complement. You can, of course, ‘wetten’ it exactly to taste with your own reverb and this dual use means it stands exceedingly well on its own as a useful and versatile string library.